Glide is pleased to announce the 18th Annual eBay for Charity Auction for Power Lunch with Warren Buffett. Offered through eBay for Charity, bidding for this year’s auction runs Sunday, June 4 at 7:30pm PDT to Friday, June 9 at 7:30pm PDT. The annual Power Lunch with Warren Buffett has supported GLIDE in its mission to provide San Francisco’s homeless, poor and most vulnerable residents with unconditional support and love. 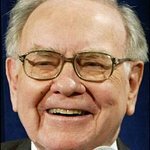 The winning bidder will have the opportunity to dine with Buffett and seven friends at Smith & Wollensky in New York City. The bidding starts at $25,000 and all bidders must pre-qualify prior to bidding at eBay.com/GLIDE. To date, with the help of eBay for Charity, over $23 million has been raised for GLIDE. “Mr. Buffett is a steadfast believer in the power of inclusion and opportunity, and that’s what we provide to San Francisco’s most marginalized residents. Through our programs, we are a beacon of hope and a sanctuary of unconditional love for all,” said GLIDE’s Co-Founder and Minister of Liberation Reverend Cecil Williams. The winning bids have ranged from $25,000 (prior to eBay’s involvement) to $3,456,789. Funds raised go directly to support GLIDE’s programs, which help people overcome hunger, poverty and homelessness. For more information about the Auction, please contact 415.674.6060, Buffett@GLIDE.org or visit eBay.com/GLIDE. For more information about GLIDE, please visit GLIDE.org.